Semi-rested, and with our bags packed, we headed to a spot that had been recommended in the center of Lyon. If you have ever driven through the city, you will know that the roads are a messy tangle of bridges and tunnels. We hiked up an embankment to the edge of a bridge that carries the main highway through the city. As we came to the top, the cars were rushing by and the sharp smell of petrol filled the air. With the sun beating down on us, we stumbled between the highway and the steep drop to the road below. It was at this point that I noticed that my companion looked close to passing out. We quickly evacuated down the hill, and ate our supplies of camembert, bread, and apples (we were still in France, after all). We decided that it was best to get out of the sun, take a day of rest in Lyon, and find a better spot in the morning. Bright and early the next day, we headed to a gas station on the outskirts of town. This had mixed reviews on hitchwiki, but we figured better there than another run at the hellish roads of the centre. It turned out to be a service station from paradise, with benches in the shade and grass lawns stretched out around the buildings. People milled about, lounged outside their caravans, and children ran around giggling in the sun. We had entered the great Dutch migration. Hundreds upon hundred of holiday-makers were heading from Spain and the south of France back to the Netherlands. It wasn’t more than five minutes before an older couple offered to take us the first 250km north. Amazed at our luck, we kicked back in the sun, and waited to leave. The next gas station was slightly less idyllic, with concrete everywhere and people rushing through. There was no doubt now that we were entering northern Europe: shortly after our arrival, a light drizzle started and then quickly turned into lashing rain. Huddled in the small shelter next to the ashtray, we watched the spray from the highway kick up into the sky and people run hurriedly from car to shelter and back. Undeterred, we continued to talk to drivers as one after another flew through the station. Alas, the majority of the cars were packed to the roof with either camping equipment or children, which left little space for two bedraggled travelers. Eventually, my companion convinced a family that we were worth the trouble, and we followed them to the parking lot at the back of the station. As we shuffled bags around, we got a look inside their caravan, which was picturesquely made. With bright colors and bunk beds spiraled inside, it seemed straight out of a Wes Anderson film. As we took our places in the car, I realized that we had now joined a family road trip. I could hear the labrador gnawing away in the boot, filling the car with the smell of dog treats as the young girl in the back started talking confidently to my companion. The atmosphere could only be described as welcoming. The doors closed, and the girl snuggled into the pile of pillows, blankets, and soft toys that surrounded her. The couple in the front smiled and laughed as we pulled out of the gas station, the little caravan rattling behind us. I couldn’t help but be reminded of all the hours I had spent curled up in the back of my family car when I was younger, roaming the UK. We spent the next several hours talking over all kinds of things. A large time was spent with the young girl attempting to teach me Dutch, to her great amusement. As the time wore on, she was asked why she was still awake and responded that it was too gezellig to go to sleep. This is a Dutch word that has no English translation, and encapsulates a feeling of coziness, warmth, and pleasant company. I don’t think I could sum up the situation any better than she did, as in this ride, the family truly made us feel part of their holiday. 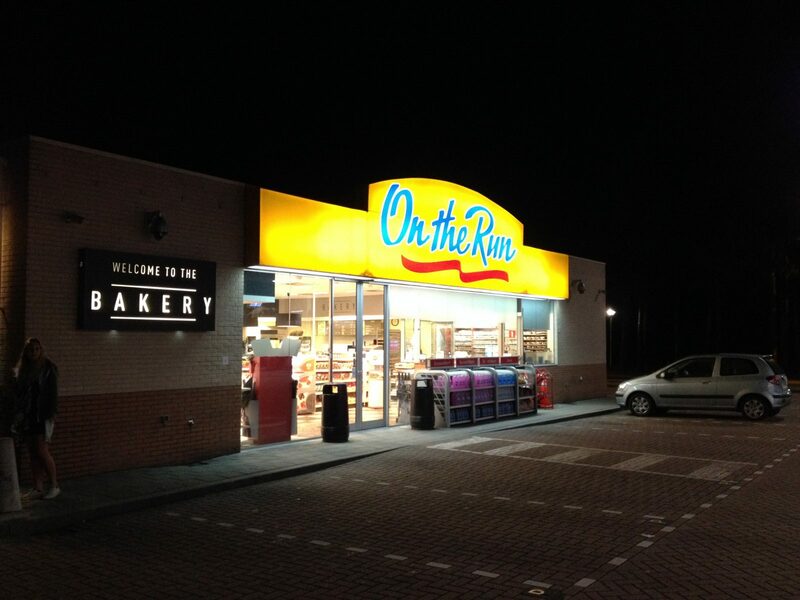 We eventually parted ways in the south of the Netherlands, and after kicking about at some very empty gas stations, we got another couple of rides. The Netherlands is a very small country so it wasn’t more than a couple of hours before we got all the way to Amsterdam. With about 950km covered in a single day, we collapsed onto a train to the place we were staying, relieved and happy with actually making it.